Hannah O’Brien, who grew up in the house and now runs it as a B and B, has always had a special ability to see a pair of resident ghosts. But when a man is murdered in the alley behind her place, she’s dismayed when his spirit appears, too, asking for help. FBI agent Dallas Samson has a passionate interest in the murder, since the victim’s a colleague whose death is connected to the smuggling ring known as Los Lobos—the wolves. Now Dallas is even more committed to chasing them down…. 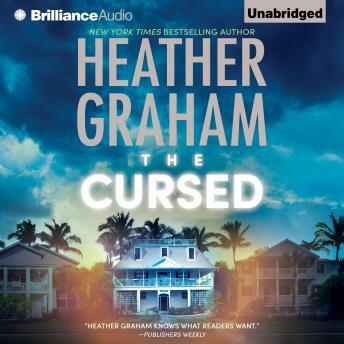 Unaware that Dallas has certain abilities of his own, Hannah calls her cousin Kelsey O’Brien, a member of the FBI’s Krewe of Hunters, an elite unit of paranormal investigators. The present-day case is linked to a historical mystery involving salvagers, a curse and a sunken ship. Danger and desire bring Hannah and Dallas together, but to survive, they have to solve the mysteries of the past—and stay alive long enough to solve the crimes of the present!